Twice the lanes mean twice the fun. 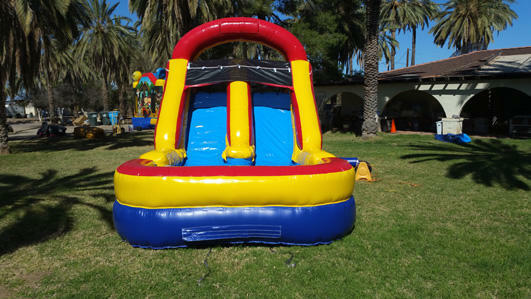 This 15’ tall Dual Lane Water Slide features a landing pool at the bottom that your guests will enjoy making a splash on a hot Arizona day! The Colorful Double Water slide is a hit at parties. Two lanes allow for side by side sliding with extra safety. 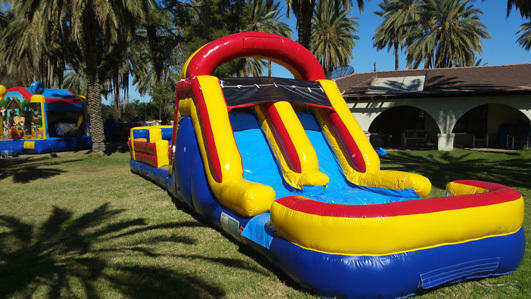 A Double Lane Water Slide with a landing pool is the perfect addition to your Birthday Party, HOA or Neighborhood Block Party, Church or School Carnival, Company Picnic, Water Day or any other Special Event.